The goal of atrial fibrillation treatment is to return the heart to a normal rhythm and to reduce the risk for complications associated with the arrhythmia, such as blood clots or stroke. Our physicians assess each patient's case individually to determine the optimal treatment, taking into account several factors, such as the onset of atrial fibrillation, the severity of the condition and symptoms, the existence of other medical conditions and the patient's medical history. 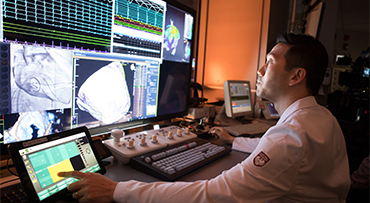 UChicago Medicine electrophysiologists have years of experience determining the right medications and dosages for people with atrial fibrillation. Medications are typically the first-line treatment for those suffering from atrial fibrillation. Antiarrhythmic medicines can be used to restore and maintain a normal rhythm and to slow the fast heart rate commonly associated with atrial fibrillation. Blood thinners (also called anticoagulants) are often prescribed to prevent blood clots and reduce the risk for stroke. For some people with atrial fibrillation, antiarrhythmic drugs are ineffective, can lose effectiveness over time or are not ideal due to negative side effects. In those cases, other treatment options are considered, such as ablation therapy, cardioversion or a pacemaker. Electrical cardioversion is a treatment that involves delivering a short electrical shock to the chest, which helps reset the heart to a normal heart rhythm. A special external defibrillation machine is used, and this treatment is performed while the patient is under sedation in our electrophysiology lab. Patients can often go home the same day. A pacemaker is a small device that monitors heartbeats and emits electrical impulses to regulate heart rhythm. For people with atrial fibrillation, a pacemaker will be used in conjunction with another treatment for the condition, but does not actually cure atrial fibrillation. You may need a pacemaker after having certain types of ablation therapy, or when heart medication may cause the heart to beat too slowly. Radiofrequency catheter ablation is a treatment that uses high frequency radio waves to destroy the tissue source of atrial fibrillation. 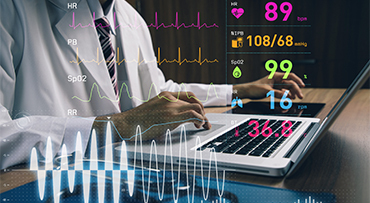 Catheter ablation can cure atrial fibrillation — especially in patients with paroxysmal atrial fibrillation (occasional episodes of atrial fibrillation) — with success rates reaching 70 to 80 percent. The procedure involves the use of a specially designed catheter that is threaded through the leg into the heart. The catheter is used to locate the arrhythmia source and a device attached to the tip of the catheter delivers high-frequency radio waves to heat the tissue and eliminate the source. Learn more about our expertise in ablation. Some people with atrial fibrillation may have other heart conditions like mitral valve disease, which requires valve repair/replacement, or atherosclerosis, which necessitates coronary bypass surgery. In select cases, our electrophysiologists may determine that a surgical approach is the best method to treat the arrhythmia because of the patient's anatomy, prior unsuccessful catheter treatments or other concerns. At UChicago Medicine, our cardiac surgeons perform the modified Maze procedure, which delivers radiofrequency energy to heart tissue to redirect the electrical pathways through the heart. This treatment is performed during open-heart surgery or using minimally invasive techniques done through small incisions in the chest. 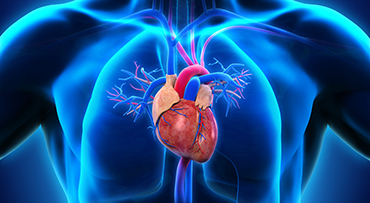 Learn more about surgical treatment of atrial fibrillation. The heart rhythm specialists at the Center for Arrhythmia Care offer state-of-the-art testing using the latest diagnostic technology and techniques. We thoroughly evaluate your condition and partner with you to decide what treatment strategy works best with your diagnosis and lifestyle.